This is a redraw of the confusing map of Amtor by ERB using standard polyconic projection. There is a reproduction of the article which accompanied this map and the Eastern Hemisphere map. 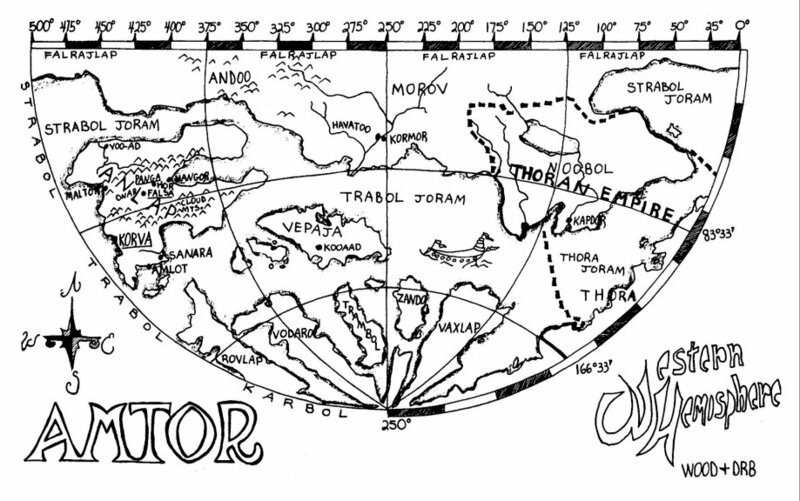 There is a reproduction of the article which accompanied this map and the Western Hemisphere map. 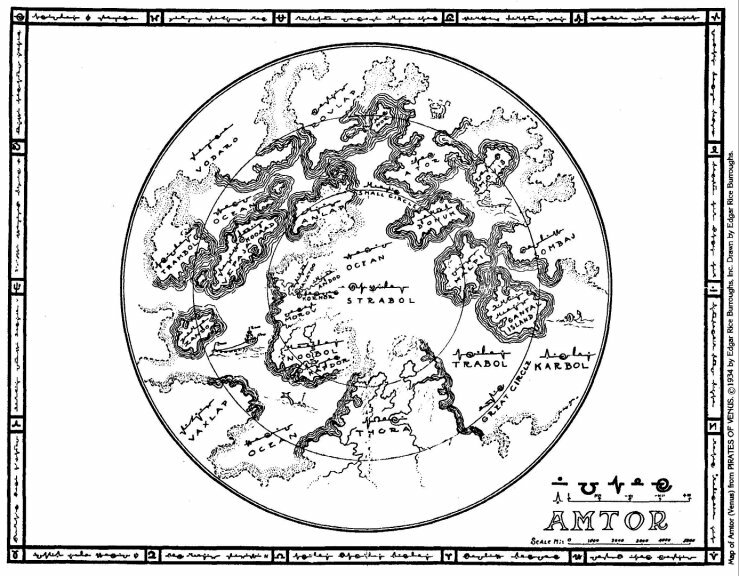 This map appeared on the end papers of the first editions. 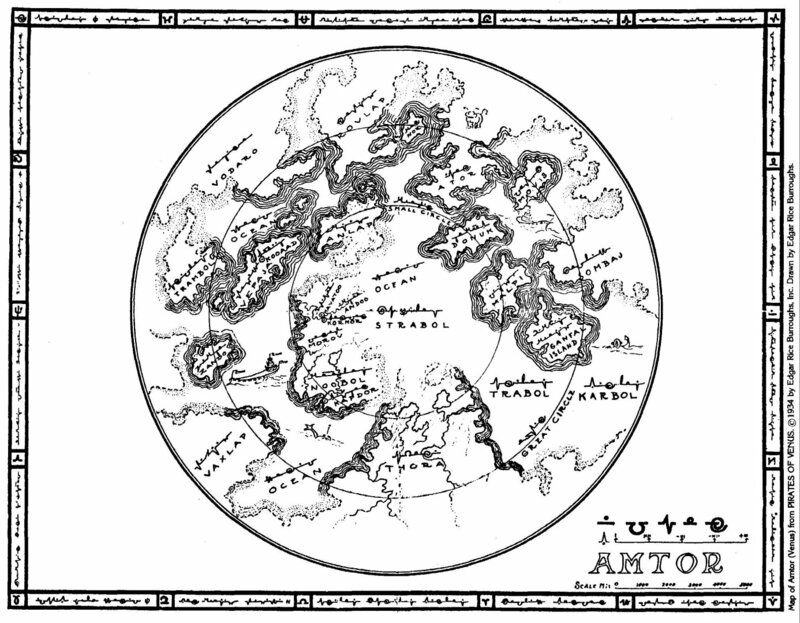 The inhabitants of Amtor believe that their world is saucer-shaped and floats on a sea of molten rock. 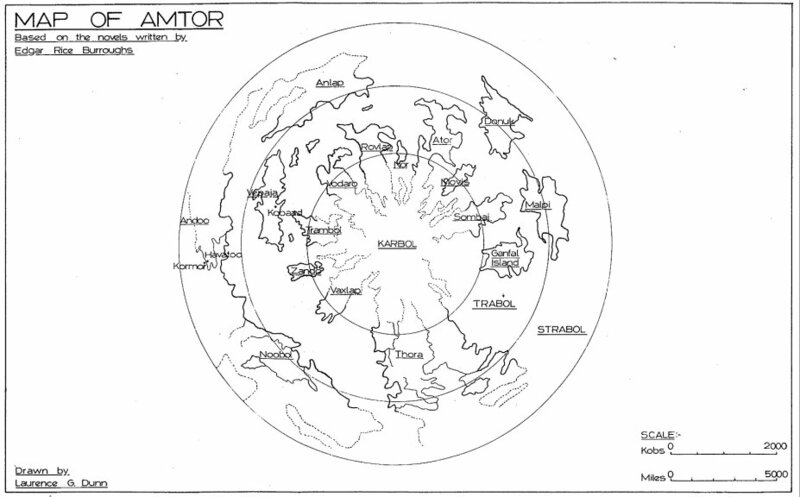 Further, they believe that the region at the equator is located in the centre of the saucer and the polar cap is around the rim. Naturally this makes for a map which is meaningless by our standards. which was used as endpapers in the first editions. It is reoriented with the pole at the center and the equator at the rim. 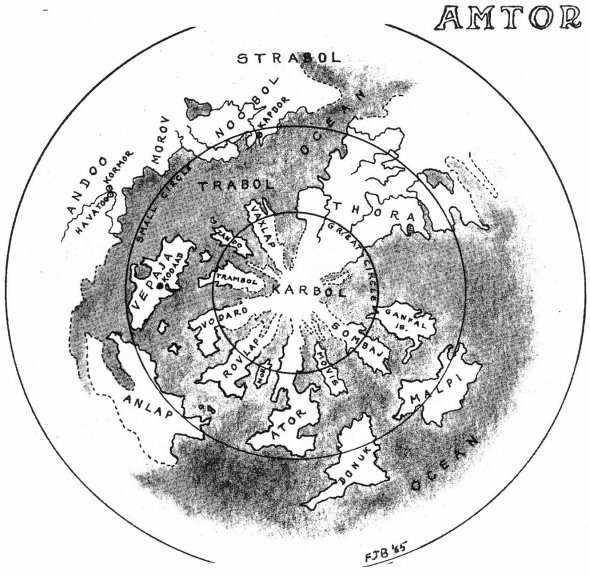 The map is therefore drawn in a form familiar to Earthers. 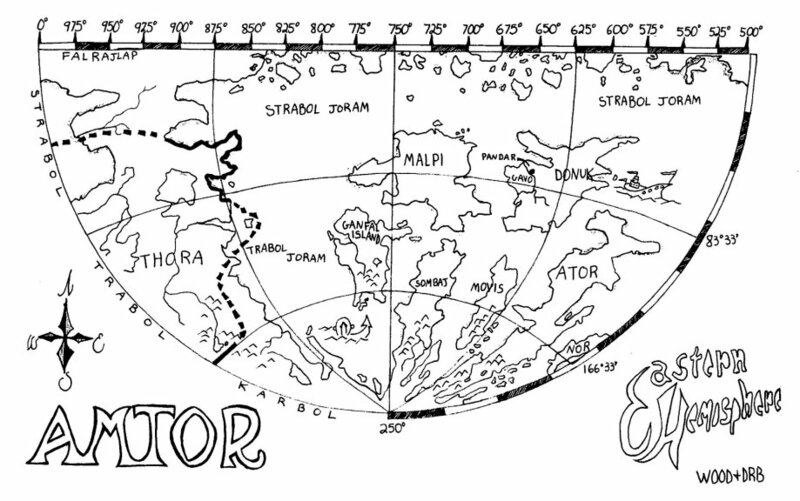 This map drawn by J. G. Huckenpohler is a on a cylindrical projection.